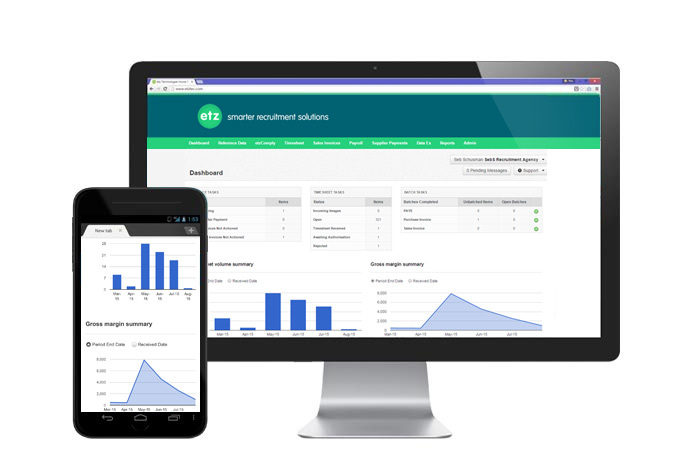 Timesheet and invoicing made easy. Save on back office processing costs by up to 70%. Automate and streamline your processes with the most feature-rich timesheet solution on the market. 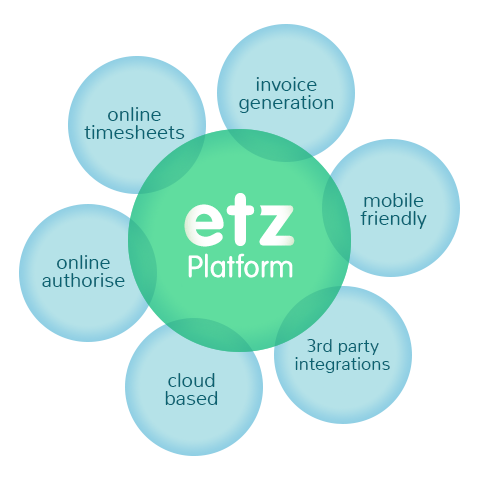 Fantastically cost-effective and user-friendly, ETZ makes an immense difference with Bullhorn clients. ETZ Technologies empowers the recruitment industry by providing cutting-edge technology solutions from timesheet management, to invoicing tools, and streamlining of back office processes. Located in the United Kingdom, Singapore and Australia, ETZ enables agencies to focus on their core competency—recruitment. Your staff no longer needs to touch a single sheet of paper or make a calculation. And amazingly, ETZ requires no special software installation or complicated training. It’s all directly integrated with Bullhorn.